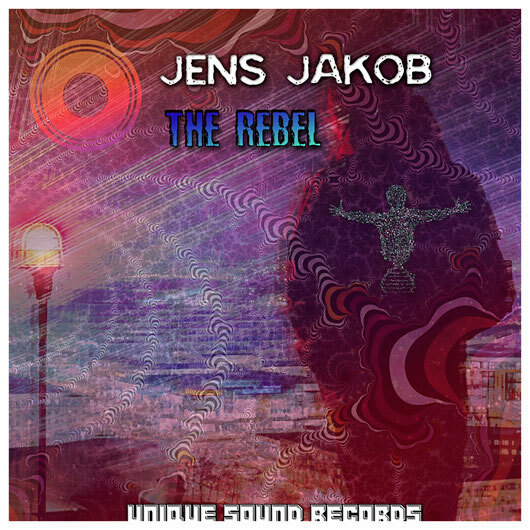 Sweat, tears and passion fuels the construction of a new dawn, sparks of a noisy mature danish arsenal being called Jens Jakob weaving hands in a high land outlining his flagship 'The Rebel'. By looking at 'The Big Picture', charming reverby melody, textured with lush pads, introducing a classy bassline with more and more layers of percussion and acid arpeggiator, breaking on an angry strict statement to think more about the big picture. Psy-on at max, 'Leftovers' is kicking in with classic arp lines, killer rolling bassline and scary screamy pad in the background, vox chops drive the acidline to its break point, dropping a neat driving groove with an angry synths. Percussive melodic introduction to a 'Mad Man''s revenge, it's all about the atmospheric background and punchy in-your-face bass, uplifted by a crystal clear arpeggiator to break on to take breath to throw a hell of driving distorted lead. 'Far Behind' but still driving and leading, powered by sour bassline and groovy vocal shops, driven to max speed by synths stubs to slow down on 80s synthwave era till shocking sirens give push in time to get back on board. Slow down to a progressive trip to the 'North Sea', somewhere in the atmosphere, a bassy melodic voice is calling, clear anthem of crushing waves, long short minutes of relaxation. LSD would fuel your imagination with asian ensemble preforming, hallucinations!! it's all about basslines, angry basslines only till euphoria state breaks again to dark realistic life. Entertainment is about getting yourself 'Entertained', that's drugs talking ! leave the space now for acids to speak, supported by dubby synth stubs till the melody breaks in not so long till rage ! Full-on '8.27', symbolic indicator of peak value on rage-o-meter, soar driving basslines surrounded by arpeggiators from hell, percussion and more ACIDS!!! 'Punk'?! not literally, rolling bassline all the way, pivoting more layers to scout the place for acidlines but as it says, the alarm sirens released, whispers is useless and you are a hopeless case! Howling atmosphere, alone in the dark surrounded by the 'Children of The Night', no sympathy! just bravery and tribal rhythms would save your ... shoulder! maybe chemical acids would save you, it's 21th century!